I tried to see if it was OK to post this here or not but never got a reply. I'm going to post it and hope it is OK.
Gaztee & his team are now offering series 3 of the ST ports for the Atari Jaguar. 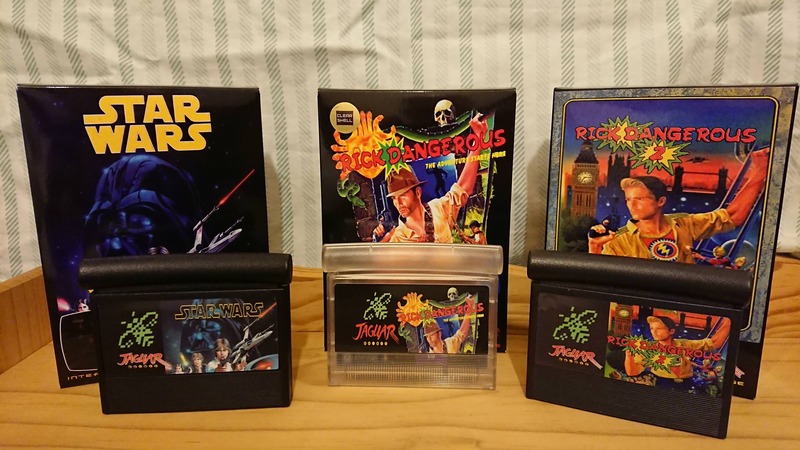 To celebrate the new series they are opening with probably the most requested game to put on a cart - Star Wars (the arcade game) and the first ST port to get a sequel Rick Dangerous 2! And if anyone missed out on the original Rick Dangerous you can grab a copy of that too! Red or Clear shell £5 extra per game. Please state colour when ordering. To place an order please email peleiades81@gmail.com with the subject Dangerous Wars 2. Please also state the country you live in (f you're on AA, include your AA handle). Orders will stay open until Sunday 13th January 2019. Oh, it'll be cool to play Star Wars Arcade at home on the Jaguar. Awesome, are they authorised ones? Don't know whether or not they are.